Umbrella Corperation - Making The World A Better Place. . HD Wallpaper and background images in the Resident Evil club tagged: evil resident exinction umbrella. 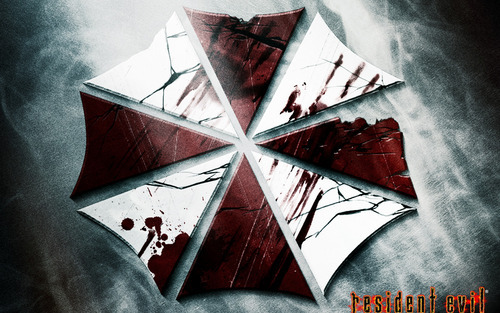 This Resident Evil wallpaper might contain fleur de lis, fleur de lys, street, city scene, urban setting, and cross. The Umbrella Coperation was an evil entity...i must say they picked the right guy for the job. Albert Wesker was emotionaless fellow without any emotional hangups. This wallpaper looks pretty cool.